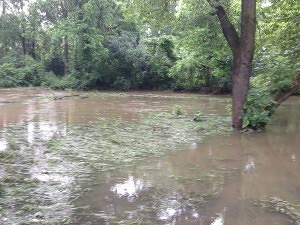 On the evening of June 27th we had VERY heavy rain which resulted in a flash flood overnight. 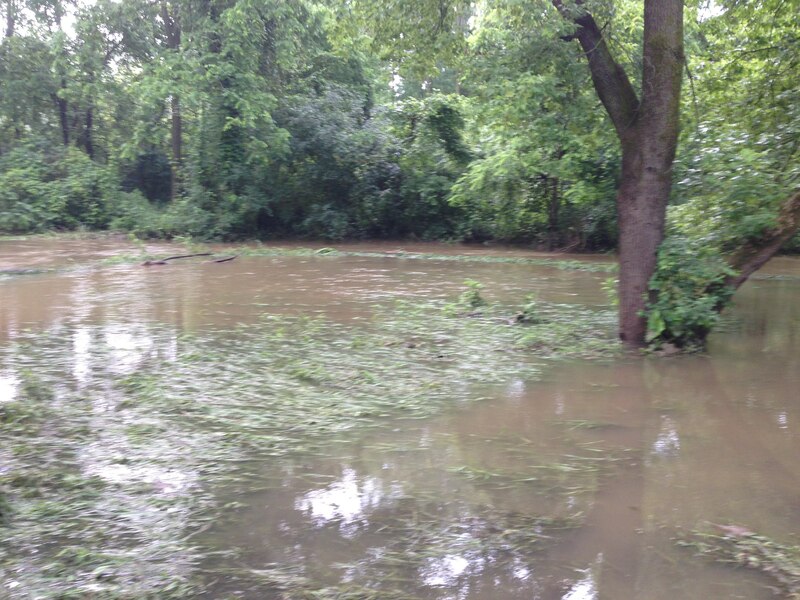 Our creek overflowed the bank and much of the river bottom land. This is the highest I have ever seen this water and it wasn’t just standing water, it was flowing. This picture was taken the next morning when the water had already dropped by over a foot. The chicken coop probably had at least a foot of water flowing through it, good thing they had roosts.